After 20 years of staging successful World Masters tournaments in Australia, New Zealand and Thailand, Go Golfing has partnered with Golfasian to host the inaugural Accor Vietnam World Masters Golf Championship in Danang from September 6th-12th 2015. World Masters Tournaments are open to club golfers aged 35 years and over, with competition offered in age and handicap divisions. Video: In this edition of TravelTalk Phil Blizzard is in the heart of Dubai to visit the Pullman, Deira City Centre, close to Dubai International Airport and attached to a prestigious shopping mall. Here Laurent Chaudet talks about their key location, the recent enhancements to both the hotel and Residences, the state of the market and the impact of the future Dubai Expo 2020. 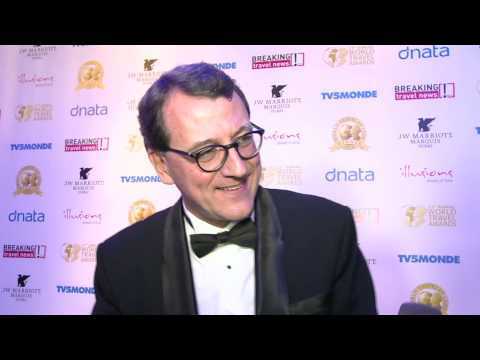 Following the property’s selection as the World’s Leading Island Resort at the World Travel Awards in 2013, Breaking Travel News editor Chris O’Toole here sits down with Pullman Timi Ama Sardegna general manager Patrick Recasens to discuss why guests find his hotel so special. Pullman Dubai Deira City Centre hotel, the unique upscale five-star hotel at the heart of Dubai, carries the brand’s ideology of ‘Work Hard, Play Hard’, bringing business and leisure together. The past year witnessed major developments in the property and its services; such as the re-launch of the hotel after a renovation project of three years with an investment of AED135 Million, the launching of the new business and meeting facilities, and the commencement of the first Pullman Resident Artist initiative in line with the brand’s commitment to Contemporary Art. 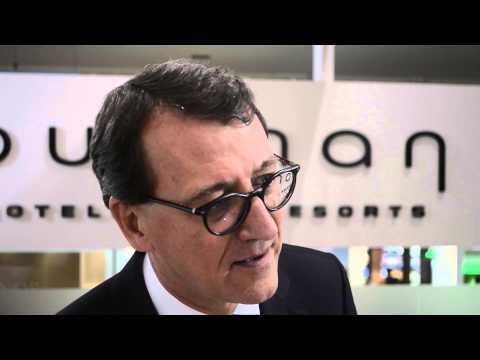 Pullman hotels has today announced plans for further growth in Asia Pacific. According to the 2013 UNWTO World Tourism Barometer, tourist arrivals in South-East, North-East and Southern Asia grew significantly (about 7%). This trend should continue over the next few years. Pullman London St Pancras officially launches with Pullman Artnight showcasing its final design, state-of-the art services and contemporary art collection. A year-long journey, the now complete Pullman London St Pancras is a European flagship for the global hotel brand. Pullman is inaugurating the Pullman Phuket Arcadia Naithon Beach. It is the fifteenth resort in its portfolio, the fifth Pullman in Thailand, and nestled in Naithon Beach, one of the most beautiful expanses on Phuket’s west coast. Accor has unveiled a new positioning for its Pullman brand, designed to match new business traveller behaviour. Accelerated expansion of its network; active commitment to design and contemporary art; enhanced visual identity are all part of a global move aimed at offering guests a resolutely new hotel experience.